Hello! Starting to jump into hacking this game after watching videos of them for years. Not trying to compete with Sonic Adventure 64 at all. I promise. Excellent work done on that. 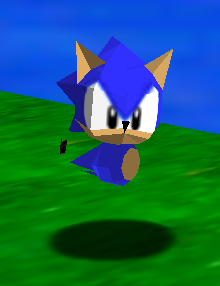 I made Sonic's head work by reducing the number of textures down to 2. Both 32x32. I had issues with it before in the normal level importer. 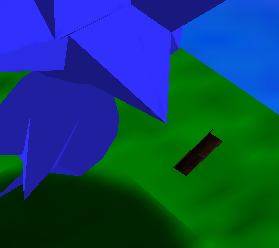 Now I'm using Skelux & Kaze's model importer to replace individual body parts on Mario. The torso worked perfectly. The importer gives me this message. I would've really liked to have the model done by today, since it's the 20th anniversary of Super Mario 64 today, and the 25th anniversary of Sonic the Hedgehog, but I don't know if it'll happen. Any help at all would be greatly appreciated. EDIT: The torso was too complex to import in the normal level importer over Mario's torso, which would've kept the arms and legs that I know I could change the color of in Toad's Tool, despite them being too fat to be Sonic's arms and legs. Well you got a good start... Are you using Kaze's Importer? EDIT: What I mean by that is how many textures are you using? Try to use only 2-3 at most, and try to multipurpose 1 texture if you have to. I'd save textures for face and shoes, it would work better this way. All of his eye, fur, (on his head) and nose is one texture, and the skin on his face is another texture. On his torso, the skin and fur are both on one texture, and that texture is also the one I used on his dislocated arm. Looks like he isn't importing over Mario's bones properly - he's floating, have you tried dragging the model down in your 3D modeller. Your hack is super, missing more than tails in a multiplayer mode and it would be amazing! but otherwise good work! Continue! (23-07-2016, 11:58 AM)AlfonceRobichu Wrote: Your hack is super, missing more than tails in a multiplayer mode and it would be amazing! Thank you so much! I really am not sure where to go from this point, because nothing I try works when importing the rest of his body, sadly... I know there are people that know how to do this, but they all act so busy. I was also considering a multiplayer mod if I finished this model. Do you think Knuckles would fit better? Or would people not mind if Tails' tails didn't spin around?